These days, lovers find unique ways to pop the question, but for runners, only one place makes a proper venue: A race! Your heart rate is already elevated, so it may as well stay that way. And dropping down on one knee isn't problematic when legs are weary. No fancy clothing required, either. If she loves you, a race bib and running shoes will win her heart. But, wait! There's no reason female runners can't propose. After all, the world is changing. Does it matter who does the asking if you two plan to run through life together? About the race: This annual event has traditionally been a one day event. Now, it's two, so if you're going to propose, avoid day two of the 7th and 8th February event, because the zoo will be overrun by kids! Competitive races past the animals continues a seven-year tradition within this romantic enclave of greenery. Run proceeds help fund animal causes. Find race details here. Why propose here? Because your love interest likely has a favourite animal, so your job is to find its habitat and make that the place you propose. Alternately, amazing green enclaves can be found all over the zoo. They offer privacy so your proposal speech isn't shared with other runners. Where to celebrate: Pay homage to Singapore's most iconic orang utan, the late Ah Meng, and have her become a witness of your love, while at the same time enjoying meals like chicken rice, fish & chips and briyani and other specialties. Enjoy your meal al fresco or grab a comfortable leather couch to share a tea, coffee or kisses. About the race: Register early if you intend to run and pop the question. 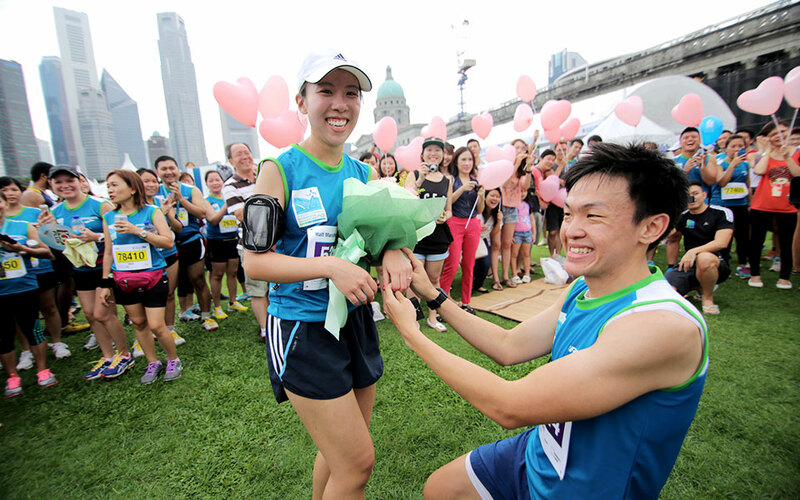 Held on 8 March 2015, and stepping off from the Tanjong Pagar Railway Station, competitors run the most beautiful stretch of natural land in Singapore, so this makes an idyllic proposal run. For details, visit here. Why propose here? If you don't care about winning this event, pace with your beloved and divert her to a scenic spot along the 10.5km course. There, you can present her with a token of your affection and both of you can return to the race. Why not pay both entry fees as a sign of your devotion? Where to celebrate: Once your declaration is delivered, finish the race on wings of love, then take your fiancée to the Murray Terrace Food Alley. The eateries and cuisine choices along Murray Street will impress your future mate. Win her heart by allowing her to decide which cuisine she prefers. 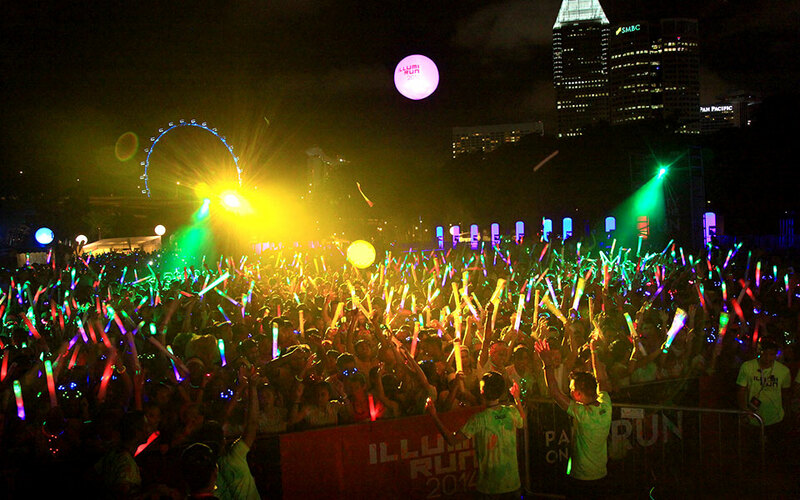 About the run: It's one of Singapore's hottest late-day runs on 11 April 2015 on Sentosa Island. You and your “one and only” can join the 5km fun run, accompanied by the hottest music on the planet. With each zone, new music kicks in: dance, hip hop, retro, pop and rock. Pop the question within the zone playing your honey's favorite tunes. Learn more here. Why propose here? 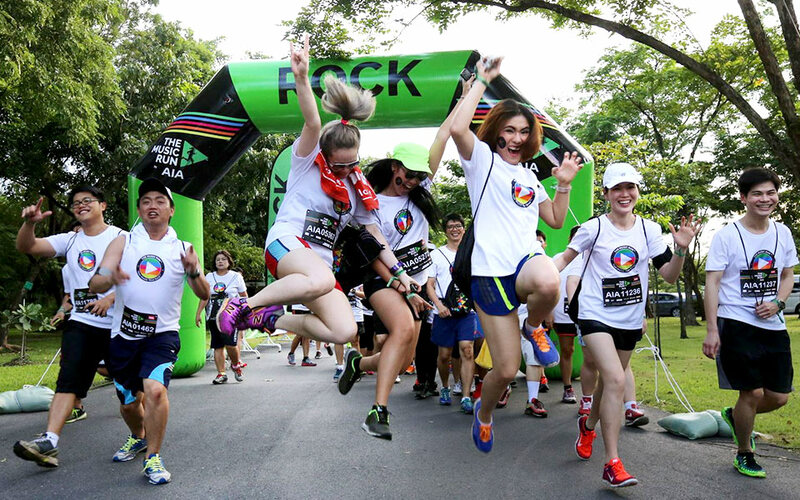 Because while other races are serious, competitive affairs, this one isn't—it's a light-hearted, non-timed, non-competitive homage to Singapore's passion for the latest music, so the sound track blares from 100 concert-quality speakers on the run route. Music selections are made by runners, so reveal your plan to propose and race organisers might spin your love's favorite tune, but at which point, you're on your own! Also read: Bangkok Midnight Marathon 2018: The Shirts are Hot; the Weather’s Not! Where to celebrate: Does it get any more romantic than a restaurant in Sentosa where lush greenery and the South China Sea offer lovers a sumptuous backdrop? Of course not. With over 50 restaurant choices, there's plenty of variety. Try something new by sampling Asian or European cuisine at any of the eateries in the area. 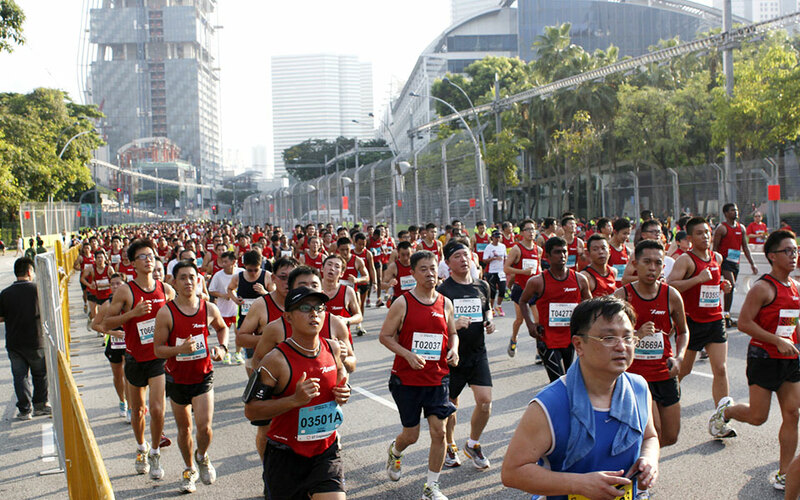 About the run: Around 30,000 runners show up each year; some say it's Asia's largest night marathon. Test your endurance by picking your favourite distance from these four: a 5km fun run, a 10 km full run, plus both a full and half marathon. If you're freaked out about proposing, get your blood pressure down by registering for the event that pushes you hardest! For more info, visit here. Why propose here? Because nights were made for marriage proposals—the city lights up and there are myriad places along the route to deliver your words of love. Consider this idea: Invite your love to the race as a spectator, ask her wait at an agreed-to spot and simply fall to your knees at her feet. The crowd will love you! Where to celebrate: The Sundown Festival Village is home to Sundown Picnic Baskets filled with delicious treats. From flame-grilled burgers to beers and soft drinks, you can arrange to throw a spontaneous nocturnal picnic once you nab your medal. Alternately, dine at the microbrewery and restaurant Brewerkz (they make the baskets) if you crave a formal setting. 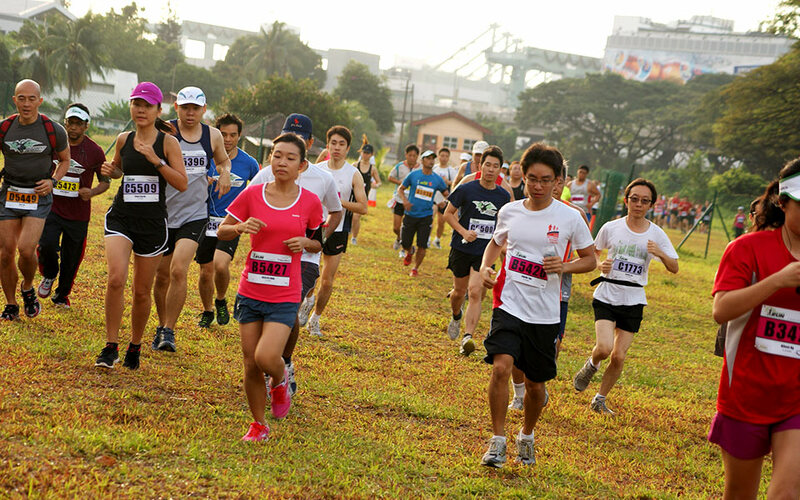 About the run: This iconic December Marathon of Singapore is already on calendars across Asia. As one of the largest road races, 65,000 people sign on to compete in these categories: 10km, full and half marathon. 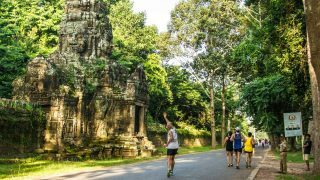 Runners pass an impressive assortment of landmarks, any of which makes the perfect proposal environment, so sign up early to beat the crowd. Stay tuned for upcoming details at their official website. Why propose here? Because you have your pick of iconic locations, one of which is bound to be a sentimental favourite within these neighborhoods: Orchard Road, Chinatown, Sentosa, Singapore Flyer and Esplanade. If your loved one is also running, don't let her beat you to that location or you'll need a Plan B! Where to celebrate: If she likes seafood, have her choose between No Signboard Seafood, a quirky favourite on Raffles Avenue, or a give her a more luxurious experience at the Pelican located at One Fullerton Road. The striking décor and delicious food here could render your new fiancée speechless—if she isn't already! About the run: Colour your engagement by the time the Illumi Run concludes as you both stand together at the finish line drenched in glow water. Proposing to your soul mate here shows you're a creative thinker and you won't have to push yourself during 5km of non-competitive party running. Some of the top spin DJs in Singapore will provide background music for your big announcement. Learn more at here. Why propose here? Because she will never expect it! Whether your girlfriend is running or cheering you on, use a clever approach to asking for her hand: letter a scroll with “Will You Marry Me?” Roll it out when you spot her. Take advantage of cleaning stations if you plan on a post-race celebratory meal. Also read: Don't Give Up on Running, Until You Try Trail Running! Where to celebrate: Save your money for the honeymoon or a splashy wedding because there's a huge party at the end of the Illumi Run that's going to provide the atmosphere you crave. Expect music, dancing, refreshments and a chance to let loose and bask in the revelation that you and your love are engaged. 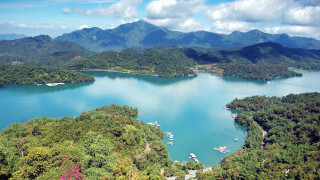 About the run: What place better to propose than the top of Swisshotel's Vertical Marathon course? Expect to climb 1,336 steps with thousands of other competitors. Organisers are still sorting details for the November event, but if you plan to propose, register as soon as the race website posts 2015 details. Why propose here? You might get light-headed while reaching this summit, but your loved one will be equally breathless, so you may as well pant together as you talk of marriage while achieving personal bests. Want to remember this moment forever? Propose at the pinnacle—that's as close to heaven as it gets! Where to celebrate: The Swissôtel houses 15 restaurants and bars serving every sort of cuisine a celebrating couple could want. Select Kopi Tiam, where authentic Singaporean dishes await, or pick a European restaurant. Too excited to eat? Award-winning cocktails at City Space may be all you require to top off an exciting day. About the run: Race organisers call this "the happiest 5k on the planet". 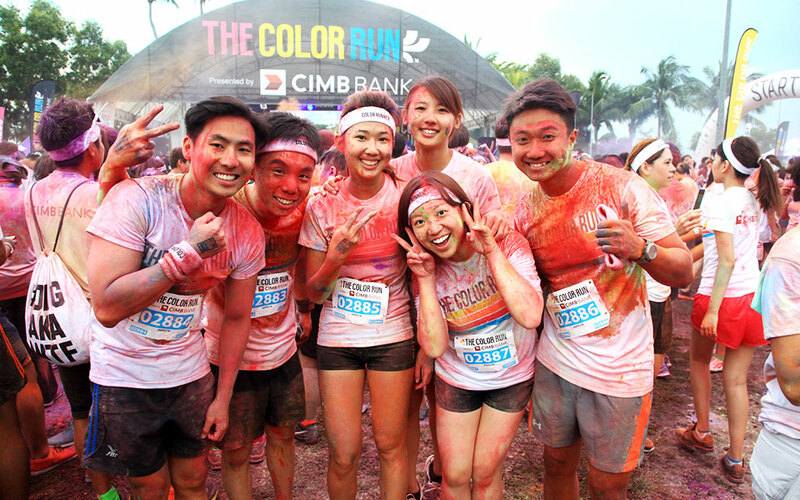 Arrive in a white shirt that will be drenched in splashes of colourful paint along the run route where you and your loved one become living rainbows. Find details at here. Why propose here? Because you and your sweetheart deserve an over-the-top memory. Your job? Make sure the engagement ring isn't doused in paint when you place it on her finger! A post-run shower is required before dining out. The Color Run has already triggered 10 marriage proposals and a wedding. 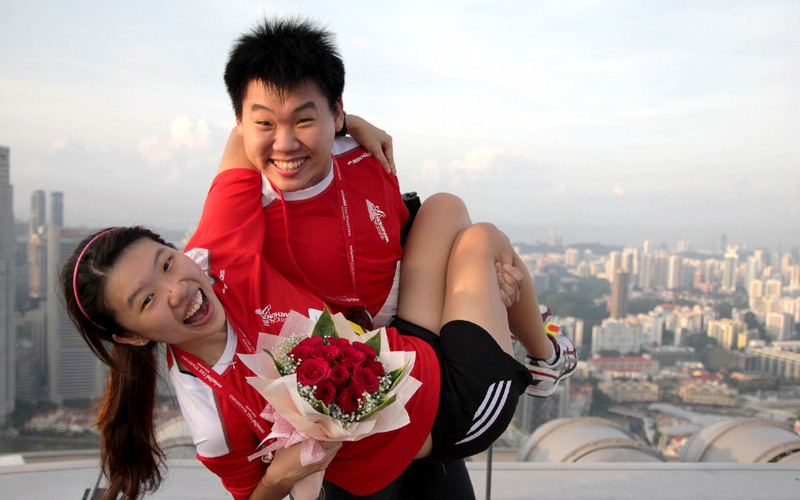 Mention your intention to organisers when registering and you could become couple #11! Where to celebrate: The Color Run kicks off from the Sentosa Beach car park, so why not leave a picnic basket in the car to mark the occasion of your proposal in private? Champagne, please, and no plastic flutes. Pack her favourite nibbles and repair to a scenic overlook to share your hopes and dreams for the future. 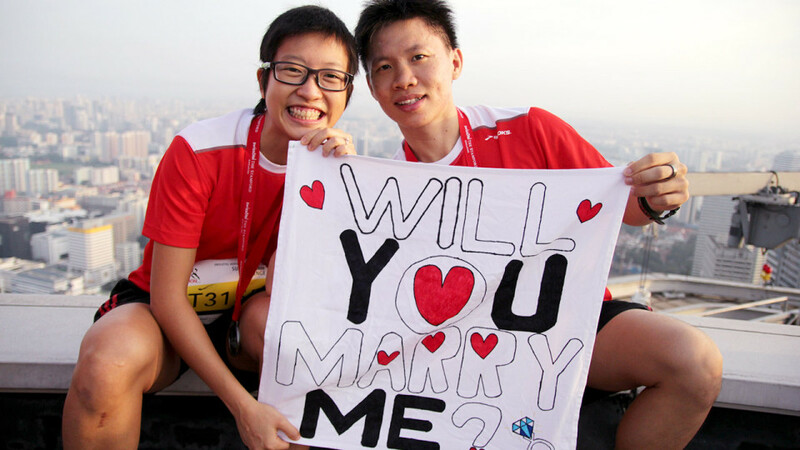 About the run: The name of this race isn't romantic, yet The Meadow (Gardens by the Bay), where the race is staged, makes an ideal location for a proposal on 24 May 2015, so go for it in a wonderland of flowers! Train for the 10km race to show your future bride that you've got what it takes to finish. Learn more about this unique race. Why propose here? 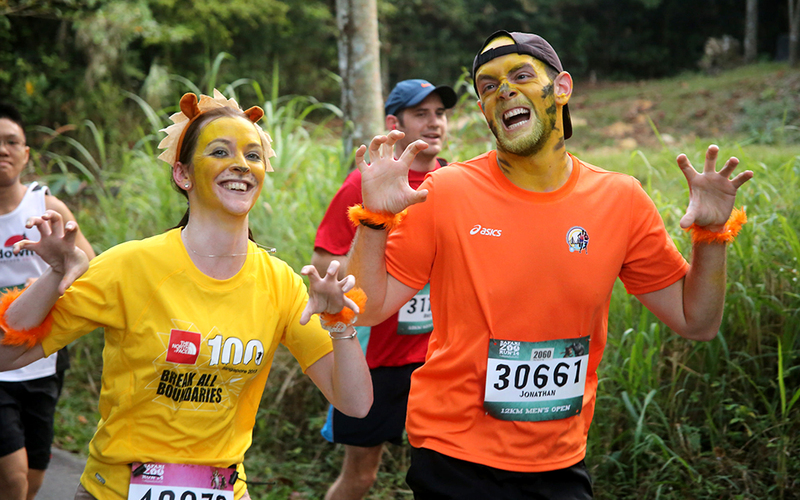 Because this run is staged at Singapore's quintessential mega-garden, use the natural environs to charm her. Alternatively, since the race steps off from the car park, you can skip proposing during the race and do it in the privacy of your car, pulling that cleverly-hidden ring from the glove box. Where to celebrate: If you can book a table at Pollen on garden premises, the day will have a perfect ending. This remarkable restaurant is situated along the waterfront. The food is delicious; the perfect blend of modern European fare with Mediterranean influences. Toast your future with any selection from the wine menu or simply sip tea to mark the beginning of your life together. 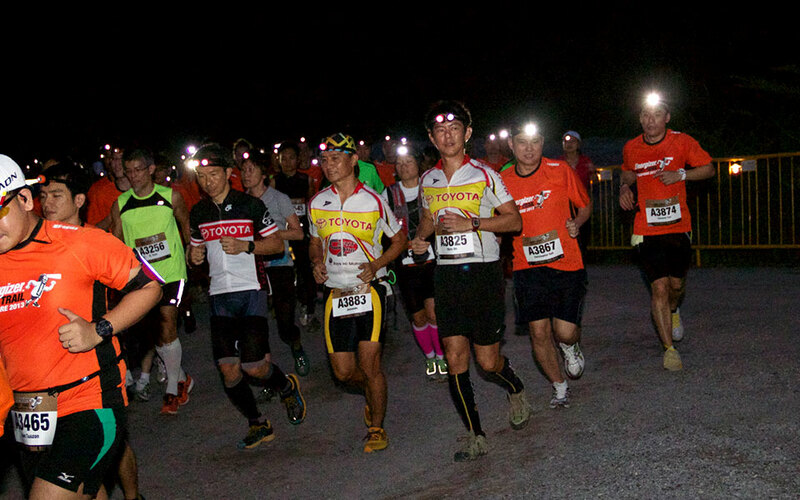 About the run: The trails of Lorong Asrama proved challenging for 2014 Energizer Singapore Night Trail competitors undertaking 6km, 12km or 18km distances, and there's no reason to believe the already-scheduled 2 May 2015 won't be equally fabulous—though the venue is still being decided. Uneven trails made for an obstacle-ridden terrain, but for anyone wishing to add a proposal to the Energizer event, the uneven road could be the least of your worries! Visit the race website to find out more. Why propose here? Because you want to create an unusual memory that neither of you will forget. Once night falls, runners spread positive energy in illuminated Energizer gear, so it's the perfect mix of light and darkness while circumnavigating the trail and stopping to pop the question. You and your love can mark the occasion with a big kiss before you both head to the finish line. 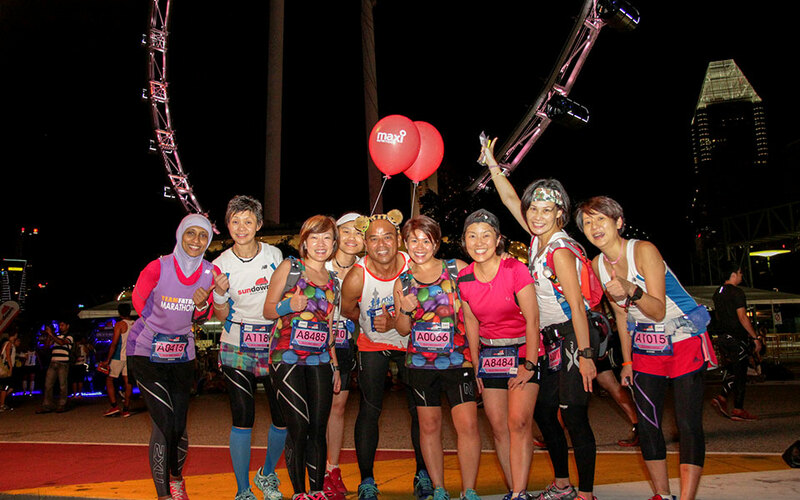 Where to celebrate: The Energizer Singapore Night Trail can be tough given the time of day and rugged terrain, so skip a restaurant after the race. Instead, show your sweetheart your sentimental side with a traditional betrothal basket. Include brandy, tangerines, peanut candies or any mix of treats your new fiancée adores. About the run: The SAFRA Singapore Bay Run and Army Half Marathon will be held in August (dates to be determined), but you don't have to be a military member to participate. You will need a member of the military to sponsor you in the 5km, 10km or killer 21km half-marathon. Let that friend or relative know that you'll propose and you could get a discounted registration rate. Visit the event website for updates on the 2015 run. Why propose here? 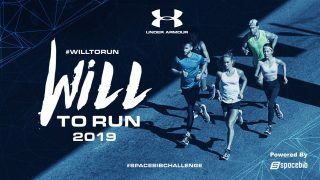 This is one of the largest and most popular running events of the year, and since it's a military tribute as well as a sporting event, your fiancée will have no clue about the true reason you plan to participate. 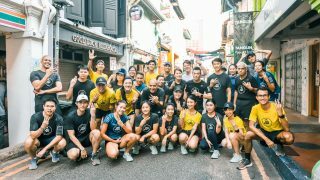 Where to celebrate: If uttering your marriage proposal is all the courage you can muster, and you're not in the mood for more decisions, forget choosing from the ton of restaurants located along Esplanade Drive for a post-run meal. Your best course of action is to kiss her hand and say, "Honey, where would you like to dine?" How would you feel if the person you love were to unexpectedly propose to you while your mind is focused on performing during a competitive run? Would you be delighted or too shocked to fully comprehend the enormity of the moment? Your opinion, as they say on wedding invitations, is hereby requested!